On-campus employment usually means that you will be getting paid by Northern Arizona University. There are a few exceptions, so be sure to check with your International Student Adviser before beginning any employment. Curricular Practical Training (CPT) is temporary employment authorization for a paid internship/fieldwork experience in the student’s field of study for which the student will receive academic credit towards her/his degree. Post-Completion Optional Practical Training (OPT) is a benefit for F-1 students who complete a bachelor’s, master’s, or PhD program. OPT employment authorization requires an ISSS recommendation and application to United States Citizenship and Immigration Services (USCIS). If approved, a student can receive work authorization to work his his/her major field of study for up to 12 months following the completion of an eligible degree. OPT is an opportunity for F-1 students to gain valuable experience working in their respective fields following graduation. Must apply for OPT no more than 90 days before your program completion date and no later than 60 days from your program completion date. Must complete or be in the final term for one of the following degree types: bachelor’s, master’s, Ph.D.
Must not have had 365 days or more of full-time CPT (Curricular Practical Training) at the same degree level. Must have been lawfully enrolled on a full-time basis in a Service-approved college or university for one full academic year (NAU qualifies). If you were in a status other than F-1 that allowed you to legally study at full-time, you began your studies at NAU without a break in your previous status, and you were enrolled full-time in an eligible degree program, you may meet eligibility and should meet with an international student advisor. Must not have any violations (for example, unauthorized employment or unauthorized under-enrollment). The application window varies depending on each individual and your program dates. The application window starts 90 days before the program completion date. For example – if the last day of exams in your final term is December 13, then December 13 is the program completion date, and the first day when the application for OPT can be accepted by USCIS is September 14. The application window continues for 60 days after the program completion date. Failure to submit an application to the ISSS and to USCIS on or before that date will result in the denial of the application. We recommend that all applications be submitted to the ISSS no later than 30 days after the your program completion date. The application window dates vary each semester. An international student advisor is happy to give you your exact dates. Once an I-20 with the OPT recommendation has been created by the ISSS, USCIS must receive the complete application within 30 calendar days of the date of issuance on the I-20. The reason to apply to the ISSS first is so you can receive a new I-20 that includes the OPT recommendation on it. USCIS will not approve an application for OPT that does not include this I-20. Please submit the following together in one application to the ISSS front desk. Prepare and mail your completed application to USCIS. Once you have the new I-20 from the ISSS, you may continue with the Step 2. Look at your new I-20 and find the date it was created. Your application to USCIS must be received within 30 calendar days of the date on your new I-20! This is very important. Failure to do so will likely result in the denial of your application. We recommend that you make a copy of your application for reference if needed before submitting it to USCIS. Mail your application to the appropriate USCIS address. Reference the table below. Once you submit your application to USCIS, you should receive an I-797c (Notice of Action) from USCIS. This is an important document that you should keep. It acts as your proof that USCIS has received your application. It includes the receipt number that starts with three letters. This number is linked with your application and will be needed any time you check the status of your application or communicate with USCIS. Receipt number – This number is found on the I-797c, which you do not have if you are petitioning for a replacement. If you submitted the G-1145 with your application, you should have received a text message with your receipt number. Otherwise you need to call USCIS for the receipt number (1-800-375-5283). If there is an issue with your application, USCIS may request additional information. This is done in the form of an RFE. If you receive an RFE, please meet with an international student advisor before responding. It is also important to resolve an RFE as quickly as possible. Our office is happy to review the RFE. If you are not in Flagstaff, you can make a phone appointment with us. Please send the RFE by email. If your application is denied, please make an appointment with an international student advisor. One benefit to applying early within your application window is that you may be able to submit a second application to USCIS depending on the denial reason. If you are approved for OPT by USCIS, you will receive an EAD in the mail to the address indicated on your form I-765. You may begin employment no earlier than the start-date on the card. We do not recommend that you work without the card in hand. If the card has dates that you do not understand, please contact the ISSS. You cannot be approved for more than 12 months of OPT, so if you have more than 12 months granted on the card, please contact the ISSS. You should receive an I-797 Notice of Approval once your EAD has been printed. Keep the approval notice! It is a very important document. You should receive your EAD separately from the I-797 Notice of Approval. If the I-797 Approval notice does not come in the mail, please follow the above steps to request a replacement form. If the EAD does not arrive within 30 days of approval (use the USCIS case status tool to determine whether the card was created and shipped) or if the card has incorrect information on it, you may request a new card. If you are able to prove that USCIS made an error, they are required to replace the card without a fee. If the card was not delivered because of an error on the part of USPS or for any other reason, or if you included incorrect information in your I-765, you will be required to pay the $410.00 fee for a replacement card. Please meet with an advisor to go over the procedures for requesting a new card. 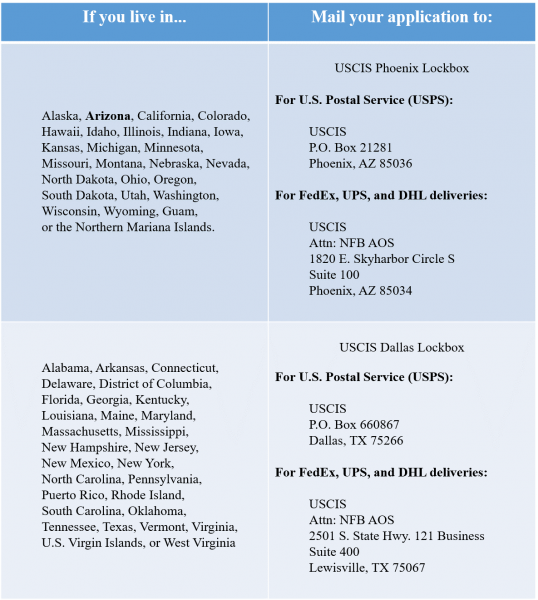 To submit an inquiry into your card, please use this USCIS page. Receipt number – This number is found on the I-797c or in a text message from USCIS. Provide last action on your case – OPT was approved, card has not arrived and more than 30 days have passed from the approval date. You may begin employment in a position directly related to your field of study once you have your EAD and the start-date has already been reached. You must report your employment and any changes to your employment information (including name, site, address, or position) to the ISSS within 10 days of the change. The ISSS will report this information to the government. You may request a new I-20 that includes your employment information. You are required to be employed for an average of 20 hours per week while on OPT. You may hold multiple positions so long as each position is directly related to your field of study and curriculum. You may use multiple positions to reach the 20-hour minimum for OPT – working 15 hours for one employer and 5 hours for another employer would satisfy this requirement. You are allowed to exceed 40 hours of employment per week. You are not required to be paid for your work – unpaid internships in your field for holders of your degree qualify as employment during the first 12 months of OPT. You may change employers at any time during OPT. Unemployment – from the start-date indicated on your EAD, you are entitled to up to 90 days of aggregate unemployment while on OPT. Over the entire 12 months of your OPT, you may not accrue more than 90 days of total unemployment. Multiple periods of unemployment are added together to reach the number of 90. It is unlawful to begin employment before the date on your EAD card. If you intend to take classes in the United States while on OPT, contact the ISSS before the classes begin to discuss how this may affect your OPT. If you begin a new course of study toward a degree, your OPT is automatically completed. You are entitled to a 60-day grace period once your EAD expires and you have continued to maintain your status by reporting your employment while not having exceeded 90 days of total unemployment. During this grace period, you may remain in the United States to resolve personal matters, apply for a change of status, travel within the U.S., or transfer your SEVIS record to a new university. Under no circumstances may you continue your employment into your grace period unless you have a pending STEM OPT application with USCIS. A teaching, research, or staff position may be filled by a new international employee through AT. This authorization is available to students who have a J-1 status. AT must be granted before the person begins employment at Northern Arizona University. Please read the Academic Training packet thoroughly. The authorization is granted by the student’s International Student Adviser at the school where he or she is enrolled. The student’s immigration document (DS-2019) and a letter from that adviser will indicate the beginning and end dates of authorized employment. The period of authorization depends on several factors in the student’s academic program, and the International Student Adviser will consider this when issuing the authorization, varying from a few months to 18 months. Employees with a PhD may be eligible for an additional 18-month extension. It is important that the department chair/director and the employee contact the International Scholar Adviser by the time the person is hired. The International Scholar Adviser will review the work authorization end date and discuss options for continuing employment. Academic Training is appropriate for faculty, research, and staff positions. The employment must be directly related to the student’s area of study and educational level. The original recruitment and hiring of faculty needs to allow the Center for International Education time to eventually file a petition for US Lawful Permanent Residence if all other eligibility requirements are met. F-1 students who have graduated with a degree in Science, Technology, Engineering and Mathematics (STEM) are eligible to remain in the United States for an additional 24 months on an OPT Stem Extension. I am currently on a 17 month approve STEM Extension, can I request a 7 month extension? The purpose of a Social Security number is for income tax reporting. Once you receive a job offer, submit the Social Security Number Authorization e-form on iNAU. Once your ISSS advisor has approved our request, our office will issue an authorization letter, which can be picked up at CIE. You must take the authorization letter to your supervisor to be signed. You will take the letter to the Social Security office in Flagstaff, along with all your immigration documents to apply for a Social Security number. Once you have applied for a number, you will be given a receipt. You may begin working while you are waiting to be assigned a Social Security number. The employer is also subject to fines.